Dr. Loboa is Dean of the College of Engineering and a Professor of Bioengineering at the University of Missouri, Columbia, and an Adjunct Professor in the Department of Materials Science and Engineering at NCSU. Research in her laboratory focuses on two areas: 1) empirical and computational approaches to quantitatively determine and deliver biomimetic mechanical, electrical, and material stimuli to human stem cells for functional tissue engineering of musculoskeletal tissues; and, 2) nanofibrous “smart bandages” as controlled release systems for wound healing and tissue engineering applications requiring antimicrobial, antibacterial, and/or anti-inflammatory treatment. Her research has been funded by the Nonwovens Cooperative Research Center (NC based industry consortium), North Carolina Biotechnology Center, National Science Foundation, and the National Institutes of Health. 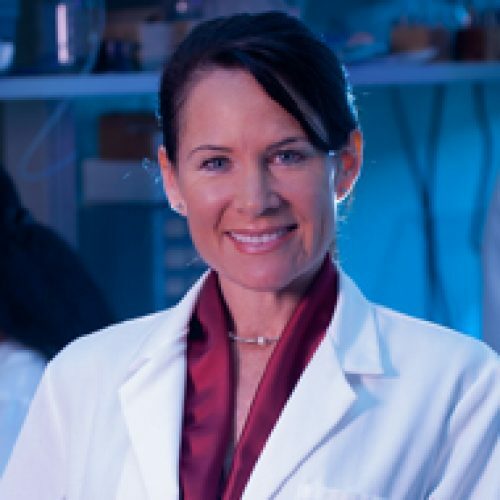 She is a recipient of the Ralph E. Powe Junior Faculty Award (2005), Sigma Xi Faculty Research Award (2009), UK-US Stem Cell Collaboration Development Award (2009), Stanford University Distinguished Alumni Scholar Award (2010), the NCSU Chancellor’s Innovation Award (2011), and the NCSU Faculty Scholar Award (2012). Dr. Loboa's research interests include Regenerative Medicine, Functional Tissue Engineering, Wound Healing, and Mechanobiology of Human Stem Cells. Mehendale, S., Mellor, L., Taylor, M., Loboa, E., & Shirwaiker, R. (2017), Rapid Prototyping Journal, 23(3), 534–542. Wall, M. E., Dyment, N. A., Bodle, J., Volmer, J., Loboa, E., Cederlund, A., … Banes, A. J. (2016), Metabolic Influences on Risk for Tendon Disorders, 920, 79–95. Bodle, J. C., & Loboa, E. G. (2016), Stem Cells. Clinical treatments for osteochondral injury are unsatisfactory. The objective for this project is to perfect an osteochondral implant loaded with stem cells. Specific aims include optimizing a biodegradable scaffold constructed with a gradient calcium concentration to guide stem cell differentiation and utilizing an in vivo porcine osteochondral defect model to evaluate scaffold integration and stem cell maturation. Careful scaffold construction and stem cell guidance will allow us to create osteochondral/stem cell constructs capable of being implanted with current orthopaedic surgical techniques. This model will serve as a precursor for custom osteochondral implants designed to fit the area of osteochondral injury. The goal of this BIRT proposal is to build a new interdisciplinary team that will study the role of integrins in the regulation of chondrocyte mechanotransduction. An improved understanding of chondrocyte mechanotransduction under physiologic and pathologic loading conditions is needed in order to define the mechanisms by which biomechanical factors contribute to the development of osteoarthritis (OA). The focus of the parent project has been to determine the basic mechanisms that control cellular signals generated through the Î±5Î²1 integrin in response to fibronectin fragments which stimulate production of catabolic mediators, including cytokines and matrix metalloproteinases (MMPs). We will build on these studies and take the project in a new direction by examining chondrocyte mechanotransduction pathways. Despite studies in other cell types implicating integrins as key mechanoreceptors, relatively little work has been done on their role in cartilage. The previous work in this area used cells in monolayer culture, which is quite different from the normal chondrocyte environment, and rarely examined adult human chondrocytes. The BIRT project will test the overall hypothesis that physiologic loading stimulates anabolic signaling mediated by the PI-3 kinase-Akt pathway while excessive (pathologic) loading stimulates catabolic signaling mediated by the MAP kinase (ERK, JNK, and/or p38) pathways. Given mounting evidence that Rho GTPase family members play pivotal roles in redox signaling and our recent work showing that Rac1 activity is required for fibronectin fragment induced MMP-13 expression, we will determine if redox regulation of Rho GTPases mediates the switch from anabolic to catabolic signaling in response to increased loads. In order to address this important knowledge gap, we propose to develop a new collaborative team that combines the expertise of the Loeser lab in chondrocyte integrin signaling, the expertise of Dr. Elizabeth Loboaâ€™s lab in biomechanics and the expertise of Dr. Keith Burridgeâ€™s lab in integrin mediated mechanotransduction with a particular focus on Rho GTPases. The team will address the following aims: 1) Measure the activation of Akt and the MAP kinases and downstream anabolic and catabolic gene expression in response to physiologic and pathologic loading conditions in human chondrocytes. 2) Determine the role of the Î±5Î²1 integrin and associated integrin signaling proteins in chondrocyte mechanotransduction in response to physiologic and pathologic loading. 3) Determine if Rho GTPases mediate redox signaling which regulates the switch from anabolic to catabolic gene expression as loading moves from physiologic to pathologic. In order to study chondrocytes in a 3-D environment, we will take the innovative approach of using cells cultured in suspension in microcarriers. Defining the components of the mechanotransduction signaling network that regulate anabolic and catabolic activity in cartilage will significantly advance the field by providing a more complete understanding of how biomechanical factors contribute to joint homeostasis and to OA. Unlike skeletal muscle and bone tissue, articular cartilage has a very limited regenerative capacity due to the lack of blood supply and innervation, and limited cell proliferation (8). As a result, changes in cartilage homeostasis result in irreversible breakdown and progressive, chronic disease commonly known as osteoarthritis (OA). In preliminary studies, we have found that articular chondrocytes exposed to reduced gravity result in significant increase in MMP-1 and ADAMTS4 expression; two matrix degrading proteases that have been involved in cartilage degradation both in vivo and in vitro (9-11). Additionally, we also found down-regulation of anabolic factors including aggrecan and collagen II, supporting previous reports of cartilage degradation as a result of disuse. Interestingly, we have also found that these chondrocytes significantly increase expression of sclerostin (sost), a potent inhibitor of Wnt signaling. Our analyses indicate that for chondrocytes, sclerostin up-regulation may serve a chondroprotective role to prevent further cartilage degradation. This finding is in distinct opposition to the role of sclerostin in bone. Sclerostin is also increased in bone cells in response to microgravity; however, sclerostin up-regulation contributes to bone loss in unloading conditions, and it has been shown that inhibition of sclerostin prevents skeletal deterioration in response to unloading (12). Taken together, it appears that sclerostin has opposite roles in these two adjacent tissues, and therapeutic targets using a sclerostin antibody to reduce bone density loss in space and osteoporosis need to be further evaluated given the potential of sclerostin inhibition resulting in the progression of OA. OA is the leading cause of disability in the US, and one of the few chronic diseases of aging without a cure (13). It is estimated that 30.3% of people ages 45-64, and 49.7% of people over 65 are diagnosed with arthritis (14). Osteoarthritis is not only characterized by cartilage degradation, but also by changes in subchondral bone thickness, osteophyte formation, synovial inflammation and degeneration of other soft tissues associated with the joint (15). It is also thought that interplay between the adjacent cartilage and subchondral bone tissues contribute to pathogenesis of OA (16-18). Aberrant crosstalk between signaling pathways in the two tissues may precipitate pathological conditions. The goals of this study are to a) use an OA-induced animal model to investigate the effects of unloading on the onset and progression of osteoarthritis, and b) to elucidate the molecular changes and signaling pathways involved in bone and articular cartilage degradation in response to reduced gravity, with specific assessment of possible interactions between these two adjacent tissues. To our knowledge, this will be the first study to address the onset and progression of osteoarthritis in unloading conditions, and to investigate interactions between cartilage and subchondral bone in a reduced gravity environment. We will attempt to identify a common therapeutic target to prevent joint damage both during and after spaceflight, and to better address joint pathologies here on Earth. Articular cartilage of the synovial joints such as hip and knee joints, are constantly exposed to mechanical forces produced by daily activities. Similar to bone, cartilage is a type of connective tissue that requires a balance between synthesis and degradation of extracellular matrix components to maintain tissue homeostasis; changes in this balance leads to cartilage degradation. Although bone density loss in space is a growing field of interest in space related biomedical research, there are no current publications on the possible effects of microgravity on the articular cartilage of synovial joints. It has been shown that astronauts experience bone density loss after space flight resembling osteoporotic conditions. We therefore hypothesize that cartilage homeostasis is also compromised during space missions, resulting in early stages of arthritis. Our proposed research addresses the general goals of the NSBRI musculoskeletal alterations team by studying mechanisms involved in articular cartilage loss after exposure to microgravity, which can result in impaired mobility and painful joints. Our goal is to use two chondrocyte cell lines widely used in arthritis cell research, RCS (rat chondrosarcoma cells) and C-28/I2 (immortal human chondrocyte cell line), exposing them to a microgravity environment. We will look for changes associated with arthritis such as up-regulation of certain genes and matrix metalloproteinases and disruptions in cytoskeletal morphology and cell-matrix interactions, and compared to an arthritic-like induced model. A major challenge in orthopedic traumatology is the treatment of large segmental bone loss. Currently, none of the standard techniques for the reconstruction of large segmental bony defects are ideal. Bone grafting for a large segmental bony defect has a high rate of complications, failure, donor site morbidity and pain. Current techniques in tissue engineering based on the use of adipose derived stem cells (ASCs) provide opportunities for improving the healing of bone injuries. Several studies have documented the capacity of ASCs to induce both angiogenesis and osteogenesis and their use in bone regeneration shows marked potential. No studies have compared ASCs to BMPs alone or in combination in an attempt to heal bony defects or nonunions. ASCs are readily available, easy to obtain and can differentiate into bone and functional capillary networks and are not affected by age or disease. In addition, it has been shown that a critical component of successful tissue engineering outcomes is the distribution of cells within a three dimensional biomaterial scaffold which serves as a substrate for tissue regeneration. Accordingly, we have developed the hypothesis that freshly isolated ACS contained in a biomaterial scaffold can be used to tissue engineer large segmental bone regeneration, accelerate healing and decrease complications typically seen in orthopedic traumatology. Calibrated tibial fractures will be performed in rats followed by administration of OssimMend, OssiMend + hASCs, OssiMend + hASCs and hBMP and a proprietary scaffold + hASCs and BMP in 4 separate groups and evaluated at 2, 4 and 8 weeks for fracture recovery. This proposal will fund an excellent postdoctoral associate to continue development and validation of a novel antimicrobial bandage that will address a critical clinical need in the wound healing market. NCBC funding of this exciting new collaboration with our global partner, Dow Chemical Company, and our NC based partner, LINC, will result in groundbreaking research and commercial development on the use of Silvadur ET for developing antimicrobial nanofibers with optimized parameters to address both acute and chronic wounds. Successful completion of this research will not only provide a novel antimicrobial bandage that can address one of our most pressing clinical needs, chronic wound care, but will provide new opportunities for two companies, Dow and LINC, to extend their marketplace to include the wound healing market. Dow has had a presence in NC through its participation as a member company in the Nonwovens Institute at North Carolina State University. This collaborative research will further strengthen company presence of this multi-billion dollar corporation in our state. Dow is committed to a financial contribution of $10,000/year to fund the postdoctoral associate via the NCBC CFG funding mechanism to advance this technology to the marketplace using the manufacturing capabilities at NC-based LINC. Cell-based strategies have received much attention as bone replacement therapies for functional tissue engineering. Functional tissue engineering uses physical stimulation to direct cell populations to produce tissue with anatomically and physiologically correct structures and with material properties similar to native tissue. Adipose-derived stem cells (ASC) are a particularly promising cell source for functional tissue engineering applications due to their multilineage differentiation potential and their abundance and ease of harvest relative to many other cell types. However, mechanobiological understanding of human ASC (hASC) is still emerging and many questions remain to be answered. Previous and current studies have examined the physical parameters that promote osteogenesis of bone marrow derived mesenchymal stem cells, osteoblasts and osteocytes, and the creation of functional bone. However, mechanisms associated with physical stimuli-induced hASC osteodifferentiation are largely unknown. Moreover, a new mechanism in bone mechanotransduction, activation of primary cilia, may play a vital role in bone mechanosensation. Electrical properties of the primary cilium, including intraflagellar transport, are critical to ciliary function. We have unique preliminary data from dose-response experiments indicating that electrical stimulation of magnitude 1 V/cm accelerates hASC osteodifferentiation and significantly increases their calcium accretion. Moreover, we have determined that hASC possess primary cilia. Primary cilia have previously been linked to mechanotransduction. Electrical and mechanical stimulation have been hypothesized to utilize similar transduction pathways for bone cells. We believe that primary cilia function as sensors of electrical stimulation due to the primary cilium?s large extracellular domain, mechanical strength, and potential ability to transduce electric fields into appropriate mechanical signals. We hypothesize that the primary cilia bend in response to an applied electric field, and thus play a key mechanotransduction role during electrical stimulation; furthermore, that this mechanotransduction preferentially induces hASC osteogenesis over alternate differentiation pathways. Thus, the overall objective of this project is to investigate the hypothesis that electrical stimulation of magnitude 1 V/cm applied at a frequency of 1 Hz will promote hASC osteogenesis that is dependent, in whole or in part, on intact primary cilia. The objective of this research is to develop novel bi-component nanofiber structures that could be used as scaffolds for engineering soft tissues. The approach proposed involves co-axial electrospinning of two different polymers, both biodegradable but one of natural and the other of synthetic origin, to produce ?sheath-core? structure. The natural polymer will form the sheath and is expected to aid in cell adhesion and proliferation while the synthetic polymer will form the core and impart strength and elasticity. Both polymers are biodegradable but one in the sheath, after initiating cell growth and proliferation, will biodegrade first. This will expose the core, which will allow the tissue to continue to grow longer before it itself biodegrades and leaves the tissue ready for implantation. The effects of the processing variables on the relative distribution of the sheath and the core in terms of the diameter of the core, the thickness of the sheath, and the overall diameter of bi-component fibers will be investigated as will be the effects of the material variables on the in vitro degradation rate of sheath and core with respect to their dimensions. Also, the mechanical properties of the resulting hybrid nonwoven webs will be determined. In a parallel effort an effective sterilization method will be identified which will not adversely affect the mechanical integrity of the scaffolds. In the final phase of the project actual cell-culture studies will be performed to evaluate the viability of these textile-based structures for engineering of soft tissues for clinical applications. Bone is the most transplanted tissue. Approximately 500,000 bone grafts occur annually within the United States, and the need for grafts is likely to continue increasing due to the aging population. The gold standard for bone grafts (90% of surgeries) is the autograft where bone is removed from one portion of the patient's body and grafted to a wound elsewhere . While minimizing tissue rejection, limitations of this procedure include limited supply of bone in the body, infection, and pain at the donor site. Therefore, cell-based strategies have received much attention as a replacement therapy, with current trends particularly focused on functional tissue engineering. Functional tissue engineering uses physical stimulation to direct cell populations to produce tissue with anatomically and physiologically correct structures and material properties similar to native tissue. Functionally tissue engineering bone using a patient's own stem cells holds great promise as a replacement to the painful and limited autograft approach, however there is a dearth of information on the mechanobiology of human mesenchymal stem cells (hMSCs); specifically, how to best promote osteogenic differentiation and formation of bone tissue with material properties similar to native bone. We have collected unique preliminary data that suggest that cyclic tensile strain induces osteogenic differentiation of hMSCs. Specifically, we have found that even in the absence of chemical supplements typically required to induce osteogenic differentiaton of hMSCs (ie, dexamethasone, b-glycerophosphate, ascorbate), cyclic tensile strain causes hMSCs seeded in 3-D collagen constructs to upregulate bone morphogenetic protein-2 (BMP-2) mRNA expression. Thus, our primary hypothesis is that specific magnitudes of cyclic tensile strain accelerate osteogenic differentiation of hMSCs. We further hypothesize that application of cyclic tensile strain to hMSCs in three-dimensional (3-D) culture will result in increased strength and stiffness of the resulting tissue engineered bone constructs. The pathways and mechanisms involved in progenitor and stem cell differentiation, particularly in response to mechanical stimulation, are not well understood. Better understanding of the mechanotransduction pathways of human mesenchymal stem cells (hMSCs) is important because such knowledge will lead to significant advances in functionally engineering structurally robust musculoskeletal tissues that can withstand the biochemical and biomechanical environment in vivo. The proposed approach is to investigate if cell morphology and cytoskeletal tension affect hMSC differentiation and to determine if changes in palladin expression play a role in these processes and or mechanotransduction due to its association with actin. We have shown that hMSCs express palladin and that palladin is associated with the actin cytoskeleton. It is hypothesized that palladin will be upregulated in hMSCs exposed to mechanical load and that palladin expression will affect the contractility of hMSCs. The proposed methods are to: (1) measure the change in palladin expression in hMSCs exposed to tensile strain; (2) observe palladin effects on hMSC contractility; and (3) investigate palladin?s structural, dynamic, and elastic properties. The expected result is determining the role palladin plays in mechanotransduction pathways of hMSCs; and using this new understanding to advance the field of functional tissue engineering by providing a molecular target for modulating the response of hMSCs to their mechanical environment; and, further, to modulate hMSC contractility.